I saw my Hagstrom La Rita for sale on Gordon Giltrap's web site. 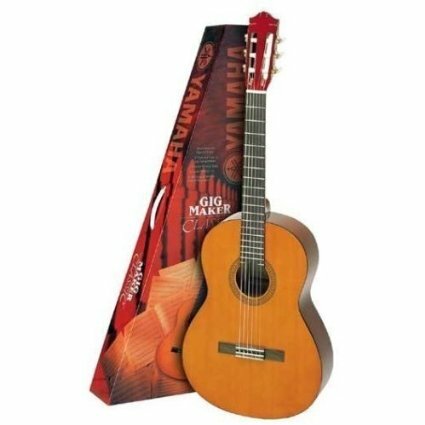 At the time I was looking longingly at a Guild F50 Jumbo guitar that he also had for sale. 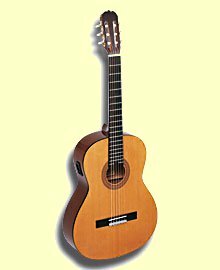 The La Rita was built by Swedish classical guitar manufacturer, Bjarton, with a solid spruce top, mahogany back and sides (I think they are laminated) and a mahogany neck with jacaranda fret board. It was great to play and had a really sweet tone and excellent projection. I bought both the Hagstrom and the Guild and drove from Scotland down to Coventry to collect them from Gordon Giltrap. He'd prepared two CD's of him playing each of the guitars, which was a really nice touch. Buying the guitars led to a friendship with Gordon and his wife Hilary. They stay with us when he tours this area of Scotland and are wonderful company. 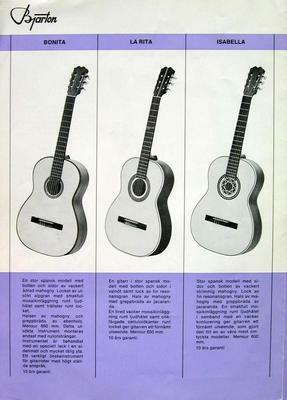 My enthusiasm for the classical guitar began with that purchase and continues to this day. 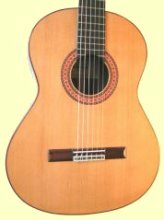 Arthritis in my left hand stopped me from playing, not that I was any great shakes, and I sold the La Rita and the Guild. However I've missed playing and I'm just going to suffer the discomfort and start again. 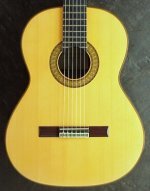 I'm currently negotiating for a really nice Asturius, but the dealer is asking too much. I'll see how it goes over the next couple of weeks. Failing that I'm open to suggestions and will watch for favourite guitar contributions for ideas.